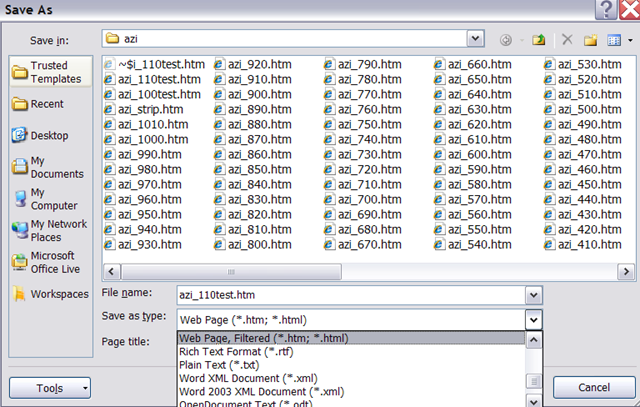 SharePointDesigner is a FrontPage derivative, but still beats dealing with the special markup MS-Office tends to smuggle into your legacy web pages. 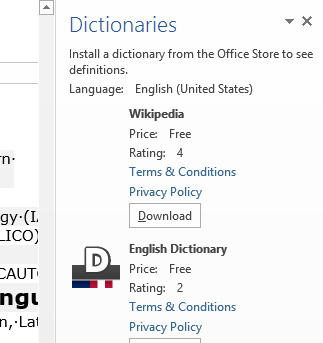 And you can download it for free from MS here, install and open a file by right-clicking it and “Open with”, like so: . User then can e.g. 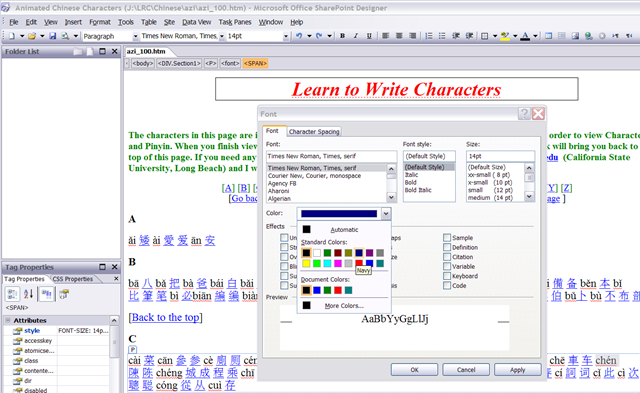 select a pinyin word, right-click it, access the font-dialogue, like so: , and, to align this alphabetic pinyin list to the progression in the syllabus if the Chinese language program, assign a heat-scale like so: . 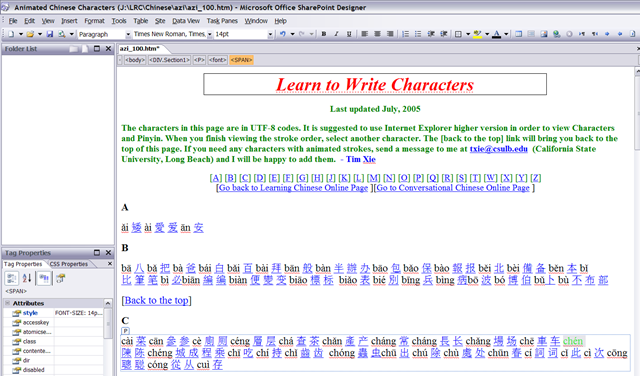 E.g this would denote an easy character for Chinese 101: . 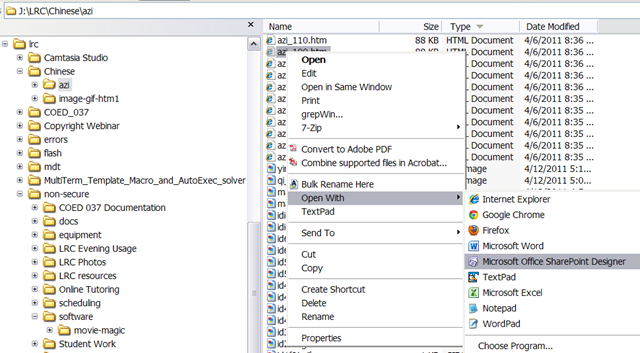 Note 1: Do not use SharePointDesigner 2010,, this doe not allow easy editing of single web pages anymore: . Note 2: The CSS style markup that SharePointDesigner puts in smartly for the font color change is ignored by Internet Explorer 8 (Huh?! ), so we will have to TBA:ask students to use Firefox instead.